After a busy week meeting with communist youth from around the world, Red Youth took a short trip to visit Stalin’s dacha on the coast of the Black Sea on Friday. The site is well maintained with renovations to several rooms ongoing, and it attracted a continuous stream of visitors from across the former territories of the once glorious Soviet Union, and from father afield. 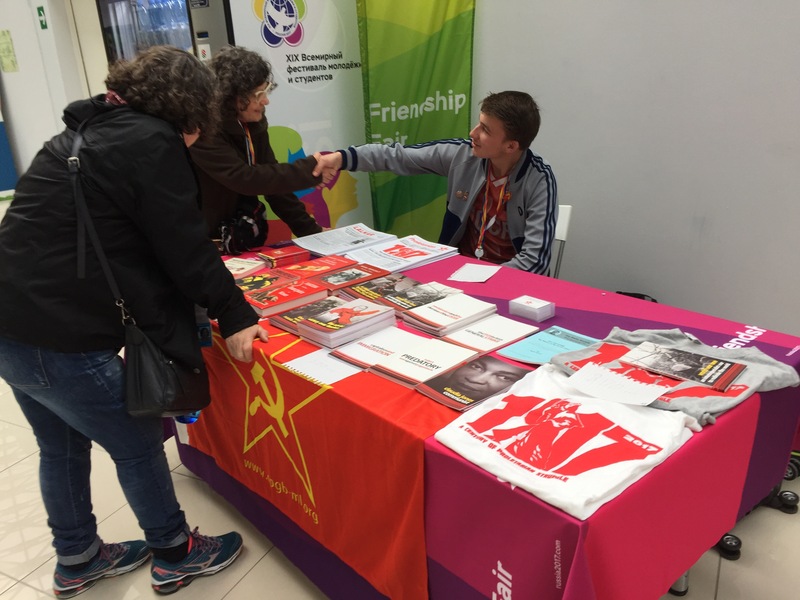 Red Youth spent the day meeting with communist youth and representatives of national liberation movements from around the world at the Youth Expo in Sochi, Russia. We received a warm welcome from many parties, and had a productive day exchanging details and discussing the challenges faced in our respective countries in building Marxist-Leninist organisations to fight imperialism. The festival is proving a great place to forge links and exchange ideas with like-minded revolutionaries, anti-imperialists, and progressives of all countries. We found that the CPGB-ML and Red Youth are increasingly recognised by participating comrades, many of whom are familiar with our work and follow our online platforms to get out views and analysis of world events, and to see what’s happening in Britain. Our stall (pictured) was visited by many comrades and we were able to distribute and exchange much of our literature. Red Youth have arrived in Sochi, and are enjoying being able to participate in this years 19th WFDY festival. Red Youth are looking forward to attending the 19th World Festival of Youth and Students held in Sochi, Russia this year. 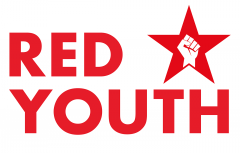 Red Youth has previously attended the festivals in Ecudaor, Venezuela, and South Africa, and it has given us the opportunity to meet anti-imperialist and socialist youth from across the world and discuss the most pressing issues that face the world today. Red Youth Report from Fête de l’Humanité. 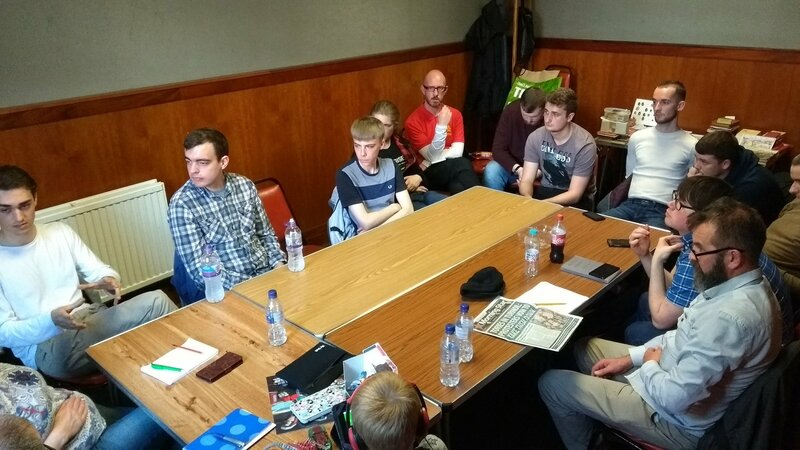 Members of the CPGB-ML & Red Youth met on Saturday to discuss the housing crisis and how to put the socialist solution to the working class. Branches from Glasgow, Edinburgh and Aberdeen were represented and heard about the appalling situation in all three cities. From slum conditions all round to the rocketing costs in Aberdeen, it was clear that so long as housing was treated as a commodity to be bought and sold workers would find no salvation from the ravages of the market. Whilst a one bed flat today costs Scottish workers half their salary or more, in the Soviet Union it was a mere 4%. There are over 700,000 empty houses in Britain, 19,845 of them in London (the London properties alone are worth £9.4bn in total). In recent years, hundreds of thousands of half-built homes have been demolished in order to preserve high prices. Despite a minor slow-down in the rate of increase of property prices, and a minor panic after Brexit, our ruling class is using every trick available to it to keep prices high. The CPGB-ML holds that houses should be homes for people, not investment opportunities for billionaires. The rights to shelter and to a secure family life are fundamental human rights. By its utter inability to solve the housing question and meet this basic need of working people, the capitalist system is providing yet more proof that it is well past its use-by date and due for demolition. The 2008 recession was and is one of the largest economic events of recent history, and has caused economic upheaval the world over, massive increases in levels of poverty and thousands of companies declaring bankruptcy, forcing their workers out of a job and spreading misery and despair. For young people, this event was particularly catastrophic: austerity measures have led to university education becoming often unbearably expensive, and it is difficult to get a job even with a degree – and nigh on impossible without one. Young people have almost no possibility of gaining the economic base that makes it possible to buy a house or support a family. Our futures have been taken away – we are being forced to take any work we can, often through shady temp agencies that give young people no chance at unionisation or industrial action, which means that we can’t even improve situations for ourselves. Why is this? Commonly the blame falls on the bankers. While we certainly have no love for bankers, and they contributed in no small way to the crisis, it is not the case that the whole crisis was caused by a few stupid bankers making bad investments. This argument lays the blame at the feet of a clique of individuals, instead of where it should lie – with how the economic system of Capitalism functions at a fundamental level.